Digitised technologies are seeping into every sector; revolutionising our design and manufacturing processes, disrupting the supply chain and transforming the way we live and work. Rapid prototyping and digital fabrication are speeding up design and manufacturing; big data and analytics are helping organisations drive profitability and reduce risk. Wearable tech is predicted to change behaviour of consumers, helping them take more responsibility for their health. Gamification is becoming a powerful motivator in business and education. The interplay between the creative, conventional and digital sectors is a powerful force for innovation both in the public and private sectors. Innovisions 2015, the NEF’s flagship conference, will explore the major opportunities - and the major challenges – that arise from this convergence. An interactive “Innovation Inquiry Panel” featuring leaders from industry, government and education will lead vibrant debates, responding to questions from the specially invited audience. This event is by invitation only. Please contact us on 0208 786 3677 or events@thenef.org.uk for more information. Mark’s career has spanned different roles in engineering, major projects, operations and safety. He has held general management and executive responsibilities for large, complex, politically sensitive and economically significant businesses in a number of countries around the world. Mark is a fellow of the Institute of Mechanical Engineers and an independent governor of Falmouth University. Andres Martin Diana is Bupa’s Global Digital Health Director. He leads Bupa’s global partnerships with the World Health Organisation (WHO) and the International Telecommunication Union (ITU) as well as our partnerships for innovation with Health XL and Wired Health, connecting Bupa with the most advanced start-ups in the healthcare space. His academic background is in media and Andres has an MBA from the Instituto de Empresa (Madrid, Spain). He co-founded an online start-up in 1997, and moved to Madrid in 2001, where he led the online and mobile channels for Sanitas, the leading private healthcare company in Spain and part of Bupa. 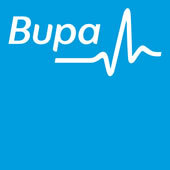 In 2008 he moved to London and led and deployed Bupa’s global digital strategy across Bupa businesses. Keynote Address: Industrial Internet - from Intelligent Machines to Cyber Security. 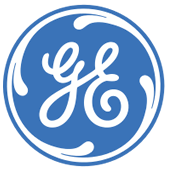 Mark is President & Chief Executive Officer of GE UK and Ireland. Mark joined GE in 2004 as Executive Vice President and General Counsel of GE Insurance Solutions (ERC), based in Kansas City, MO. In 2006, Mark moved to Brussels as Vice President and General Counsel, Europe and European Regulatory Affairs, GE International and returned to London to his current role in 2009. Mark graduated with Honours in History & Politics from Exeter University in 1979 and attended the College of Law in London (1979-81). He qualified as a solicitor in 1983. Mark was admitted to the Missouri Bar in September 2004. Keynote Address: Mobile Technologies - driving business growth through improved user experience. Julian is a member of the Digital and Design Office at Barclays HQ. He describes his role as helping to put an 'internet lens’ onto service design. He has spent all of his career in information technology, mostly turning ideas into businesses and/or services. During his 10 years at Apple, he worked on the early Newton, Set Top Box and Internet gaming products. At AT&T Unisource, as director of Service Strategy in the late 1990s, Julian invented, funded and built what was arguably the world’s first digital cash payment service assuming a world full of SIM-based wallets using pre-authorised debit and/or digital cash. Julian then led a MBO of this project to create SmartAxis BV as an independent company. It was backed by the Dutch government and a US Merchant Bank but also won the support of MasterCard, Europay, Nokia, SingTel and others. As a resident mentor at Barclays Accelerator programme in Whitechapel Julian is closely involved in the selection and engagement of the FinTech cohorts. He attended London Business School and studied for an MBA with Henley Management College whilst an employee at Apple.